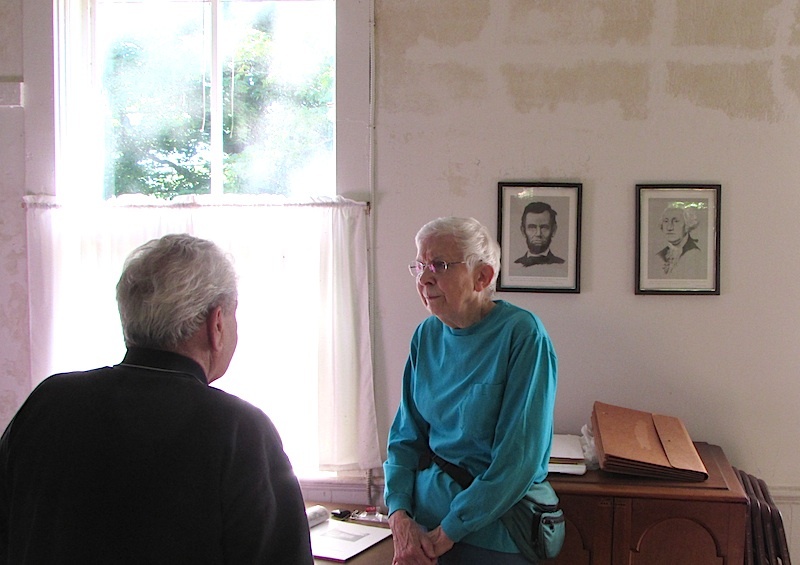 Judy Lovaas has cared for a unique piece of county history since 1966 but the time has come for another committed caretaker to step forward. 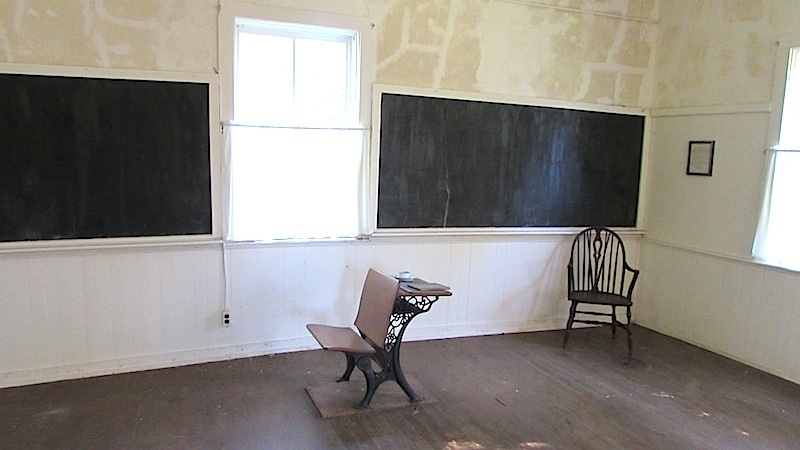 The Holcombville one-room school, located near the juncture of Crystal Springs and Walkup roads near Crystal Lake, looks much the way it has since it was built in 1858. Back in the day the interior boasted large, double-seated desks and whitewashed walls to maximize lighting. There were no curtains and just one stove – located in the front – which burned coal and wood. Water was pumped from at a farmhouse across the road and carried inside. A shelf in back contained tin cups with names on them. 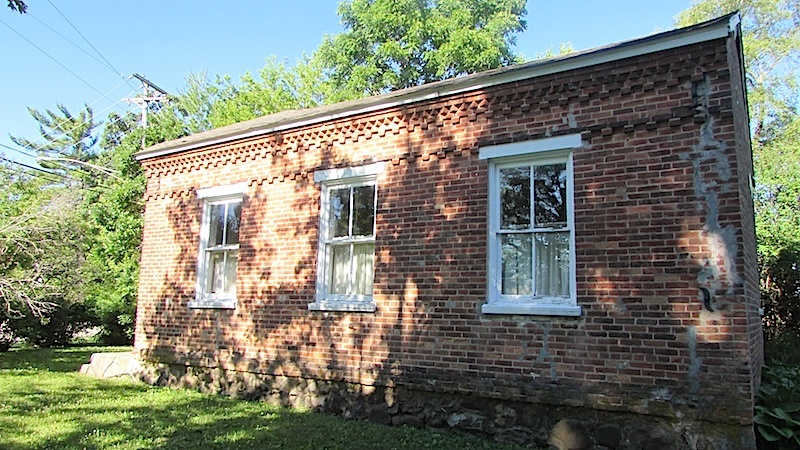 The building features hand-molded brick construction on top of a fieldstone foundation, plus German-style decorative brickwork on the exterior. The interior floor is solid beneath a pressed-tin ceiling, original slate chalkboards and most of the original hand-glazed window panes. But there are potentially serious structural issues. The foundation has eroded in places. 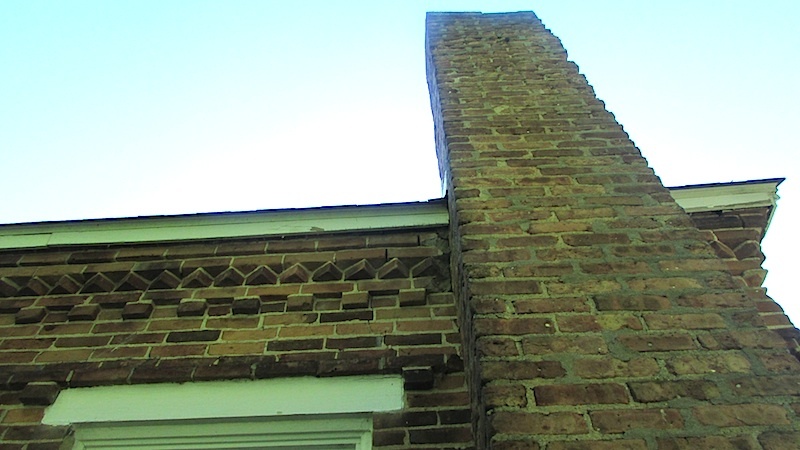 The exterior brick walls are separating and it most likely could use a new roof. The Greek Revival school sits on a half-acre and takes its name from William Holcomb, a prominent landowner in the county. Property for the school was bought for $12.25 from Sutherland Ingersoll. The school closed its doors at the end of the 1946-47 school, consolidating with Crystal Lake District 47. It was sold at public auction to Edna Boston for $2,000 before John and Judith Lovaas bought it and an adjacent 2 acres with a house. Both are up for sale, either together or apart – to the right buyer. The nearby woods, filled with hazelnuts and oaks, was a frequent play area for school children. And the Land Conservancy of McHenry County is investigating preserving that, as well, in conjunction with the adjacent 250-acre Crystal Spring Conservation Easement. Any historically minded individuals or organizations interested in acquiring the school or adjoining woods should email the McHenry County Historical Society at info@mchenrycountyhistory.org or Linda Balek, land protection specialist for the Conservancy, at lbalek@conservemc.org. The McHenry County Historical Society will re-create the past Aug. 12 and 14 at the county historical museum, 6422 Main St. in Union, with a 1936 rural school musical production. Titled “Elementary Follies,” the original drama crafted by retired historical society administrator Nancy Fike, will portray a century pageant … as portrayed by adults portraying schoolchildren. Having a sense of humor is a prerequisite. The large cast of “Elementary Follies” includes the likes of attorneys Herb Franks and Bill Bligh, Woodstock Police Chief John Lieb, Huntley District 158 Superintendent John Burkey, McHenry County Board member Sue Draffkorn, Alden Township Supervisor Preston Rea, Woodstock City Planner Nancy Baker, Realtor Dave Gelwicks, former McHenry Mayor Bill Busse, current Marengo Mayor Don Lockhart and Fox River Grove Village President Bob Nunamaker. “The point of it was to try and get a broad-based representation of McHenry County,” Fike said. Limited seating is available for two performances – at 7 p.m. Friday, Aug. 12, and 2 p.m. Sunday, Aug. 14. Admission is $10, with all proceeds benefiting restoration of the 1867 Pringle School – one of just three limestone structures in McHenry County. Quarried at Garden Prairie and transported by wagon to the site off what is now River Road, the property once belonged to Patterson Pringle. Children of Scottish settlers attended the simple school, then in District 139. Enrollment fluctuated between 10 and 25 students until the 1940s. Money and muscle are needed to repair and restore the foyer and adjoining storage/cloakroom area. For information or to buy tickets, visit www.GotHistory.org or call 815-923-2267.